This charming end unit is located on a dead end street and is surrounded by trees and open space. The 2 car garage plus extra parking at front of home is a nice bonus. The open floor plan opens up to an expansive wrap around deck so you feel like you are away from it all in a tree house setting while providing the luxuries of home. The downstairs bedroom and full bath provide easy access with the master suite upstairs for privacy. 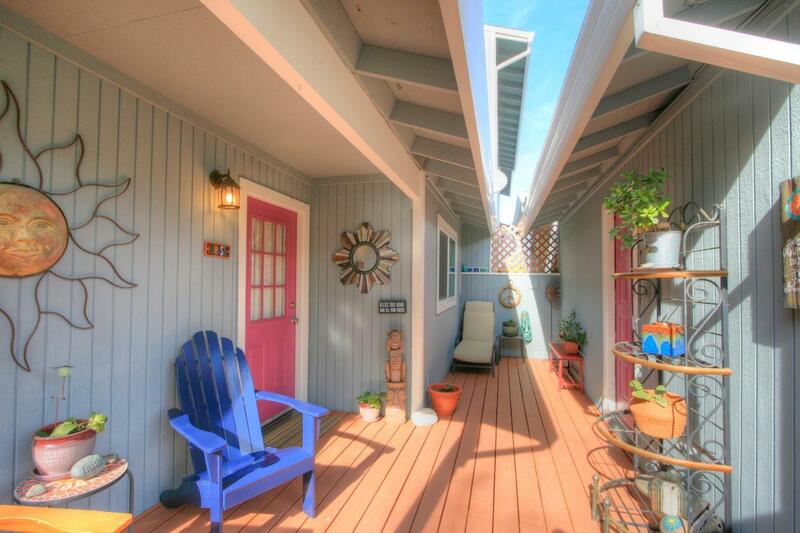 The back yard is flat, low maintenance and ready for you to make it your own. This home is move in ready, nicely appointed and well cared for with some upgrades. Enjoy this well located home in Cameron Park close to shopping. Affordable homes where you feel like you are away from it all while being close to amenities in a nice community don't come up very often. Spa is NOT part of sale.